What do the Premier League and Serie A Have in Common? 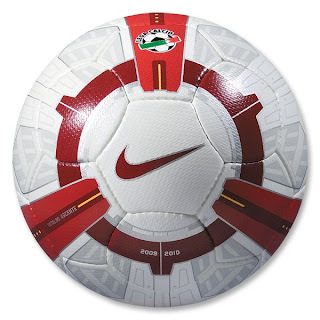 Besides both losing two of the top soccer stars in the world to Real Madrid, both top leagues in Europe will be kicking the new Ascente Ball from Nike! I'm not sure what 'ascente' means (maybe ascent in Italian or Portuguese, relating to the flight of the ball). 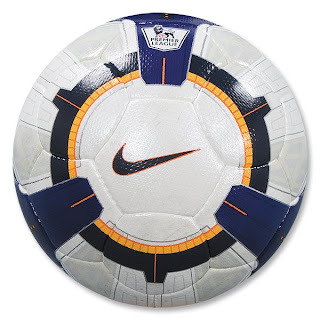 Regardless, this ball will be flying all over England in 09/10 as it will be kicked by every Barclays Premier League player next season. Geometric precision distributes pressure evenly across panels and around the ball for a consistent, accurate and powerful strike no matter where you strike it. Perfectly spherical for true flight. COVER: Compressed polyethylene that absorbs energy and releases it at launch. Cross-linked nitrogen-expanded foam for exceptional shape retention. Polyester support fabric for durability. BLADDER: Six-wing carbon latex for explosive acceleration. FIFA approved.